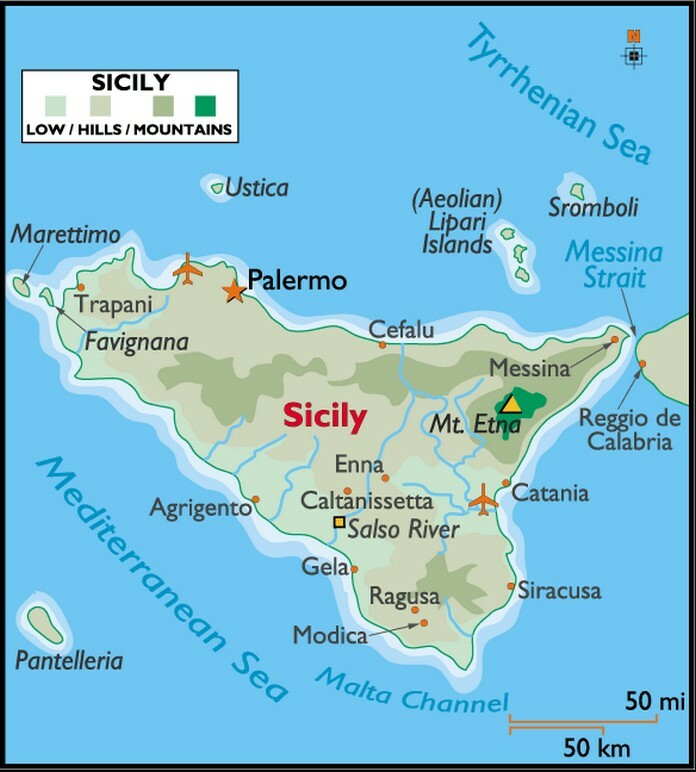 Sicilia (Sicìlia) is the largest island in the Mediterranean Sea. 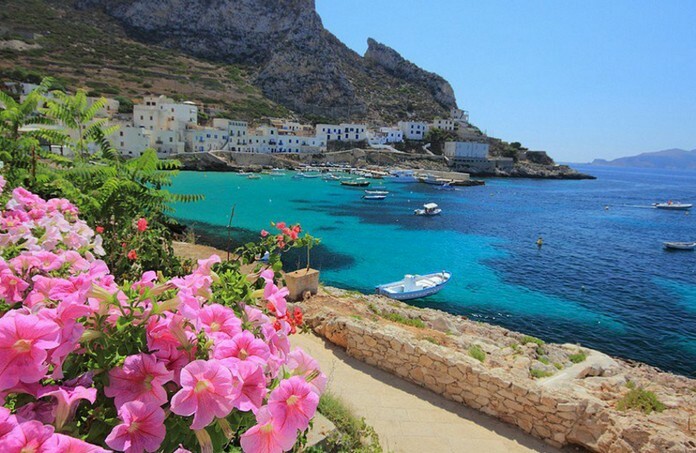 It is an autonomous Region of Italy, along with surrounding minor islands, officially referred to as Regione Siciliana (in Italian, Sicilian Region). 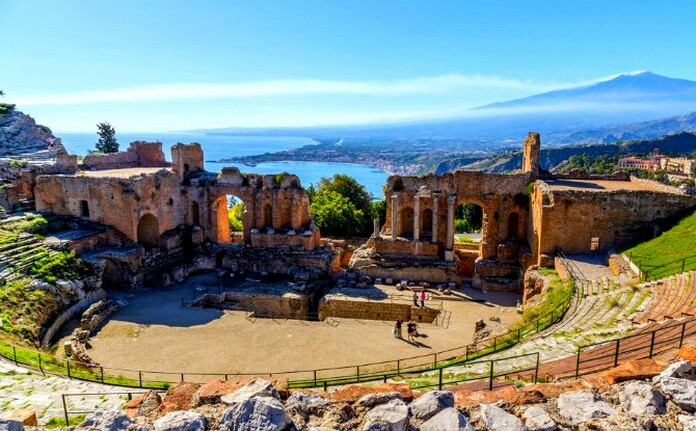 Sicily is located in the central Mediterranean Sea, south of the Italian Peninsula, from which it is separated by the narrow Strait of Messina. Its most prominent landmark is Mount Etna, the tallest active volcano in Europe, and one of the most active in the world, currently 3,329 m (10,922 ft) high. The island has a typical Mediterranean climate. 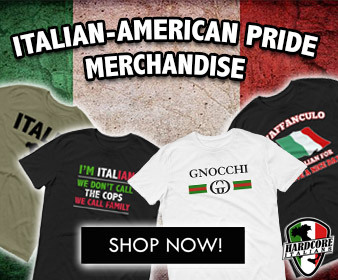 Sicily has a rich and unique culture, especially with regard to the arts, music, cuisine, and architecture.